Health Care Consultants | West Hills, NY - The Lowell Group, LTD.
Are you providing patients with the ultimate in medical care? 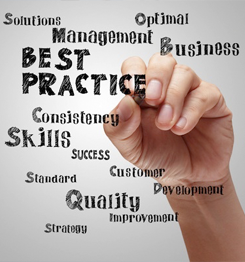 Chances are your processes and procedures may not be as effective as you think. The Lowell Group, LTD. provides assessments of your specialty facilities, including diagnostic centers, genetic testing centers, and nursing homes. We use our findings to provide you with health care strategies that enhance patient care. Our goal is to improve the health care industry so that patients reap the benefits. Receive a consultation about how to improve your offerings. Improve the performance of your operations and promote better patient care by allowing our health care,tele medicine, disaster preparedness, to discuss your needs with you. The Lowell Group, LTD. has expertise in the areas of Strategic Planning, Telehealth, Compliance, Regulation , Finances and Quality Assurance. Our team also has resources in the areas of Pharmaceutical and Specialty Laboratory services in addition to medical supplies. Our founder is a licensed Nursing Home Administrator who has been a nursing facility operator and a consultant in many areas of health care, as well as medical emergency preparedness. Backed by more 40 years of long-term health care experience, our team assists clients with relationship building, interfacing, and grants to enhance patient care. We also have experience dealing with changes in state, local, and federal laws that govern the health care industry. Depend on us to keep you updated about any new legislation that may affect the way you care for patients. Learn More About The Lowell Group, LTD.